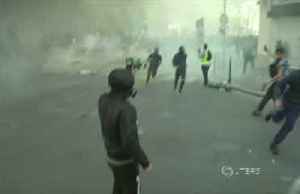 Clashes broke out between dozens of demonstrators and police in Paris on the 23rd Saturday of yellow-vest protests after authorities warned that rioters could return to the French capital to spark a.. 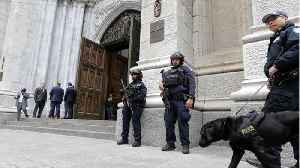 Already under stress from a number of terror attacks and a two-year-long state of emergency, officers face long working hours, and struggle to get paid for overtime. 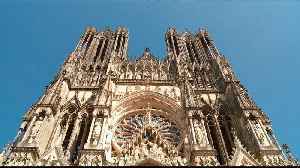 The reconstruction of another Gothic cathedral in France, after its destruction in WWI, is an inspiration for rebuilding the iconic Parisian Notre Dame. 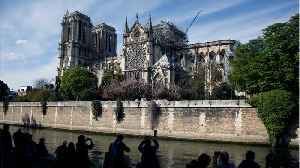 Firefighters who tackled the Notre-Dame blaze said they were "honored" to be recognised by French President Emmanuel Macron at the Elysee Palace on Thursday. 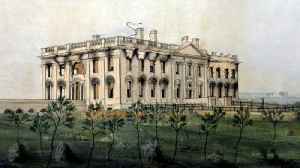 Edward Baran reports. 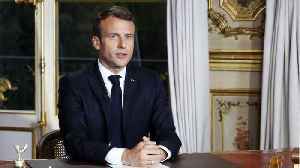 French President Emmanuel Macron said on Thursday that Pope Francis would at an undetermined time visit France. 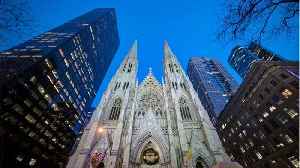 The country was plunged into sorrow this week by a catastrophic fire at the Notre-Dame de.. 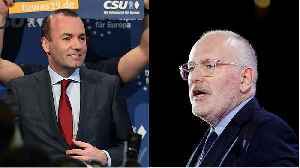 The two main candidates to replace Jean-Claude Juncker as president of the European Commission, Manfred Weber and Frans Timmermans, said how they felt about Brexit in a France 24 TV debate. 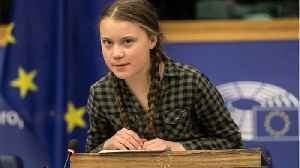 "We can do those things far more effectively with 21st century materials than simply cut down a bunch of oak trees and put them back up again the way it was," says Professor Stephen Murray. Rough Cut.. 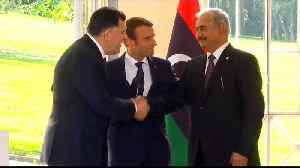 According to a report by Business Insider, Bertrand de Feydeau, the vice president of the preservation group Fountain du Patrimoine, announced that France no longer has trees tall enough to rebuild..
France supports the unrecognised government in Tripoli but also maintained ties with the other government led by Haftar. 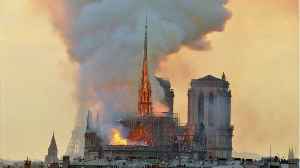 France will open the redesign of Notre-Dame de Paris cathedral’s historic spire to international architects after Monday catastrophic blaze. The government’s announcement added to a question many.. 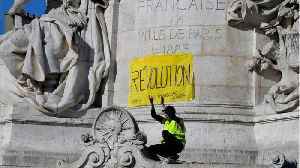 Clashes broke out between some demonstrators and police in Paris on the 23rd Saturday of yellow-vest protests after authorities warned that rioters could return to the French capital to spark a new.. Climate activists blocked thousands of employees from entering the headquarters of French bank Societe Generale, state-run utility EDF and oil giant Total on Friday, environmental group Greenpeace..
France said on Thursday it supported the internationally government in Tripoli after that authority accused it of backing its rival in eastern Libya and said it would cut security cooperation with..
France is paying a daylong tribute Thursday to the Paris firefighters who saved the internationally revered Notre Dame Cathedral from collapse and rescued its treasures from encroaching flames. 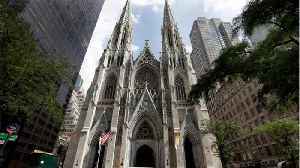 French President Emmanuel Macron said on Thursday that Pope Francis would at an undetermined time visit France, a country plunged into sorrow this week by a catastrophic fire at the Notre-Dame de Paris..
God is not dead in Europe, but many are no longer following Him. 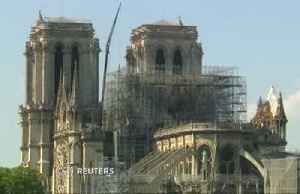 Notre Dame Cathedral 's shell remains, in the hope that the structure may be rebuilt. Europe would respond to any sanctions by the U.S. government on investments in Cuba, French Finance Minister Bruno Le Maire said on Thursday. 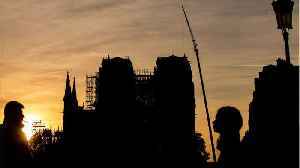 French prime minister Edouard Philippe said officials will consider whether a new spire should replicate the one that fell or have its a new design. 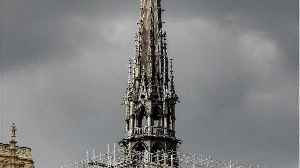 France will open the redesign of Notre-Dame de Paris cathedral's historic spire to international architects after Monday night's catastrophic blaze that gutted the centuries-old roof and sent the..
Notre-Dame de Paris cathedral went up in flames on Monday , a blaze that devastated the landmark, destroying its wood-beamed roof and collapsing the iconic spire, a searing loss for Paris and France. 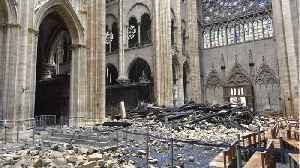 The uncle of Syrian President Bashar al-Assad will stand trial in France for allegedly acquiring millions of euros worth of French property assets using funds diverted from the Syrian state, a judicial..
France will open the redesign of the Notre-Dame de Paris' iconic roofline to international architects after Monday night's blaze gutted the oak-framed structure and sent its 300-foot spire crashing..
France's leader calls for unity to rebuild Notre Dame Cathedral, the NFL regular season schedule and more news to start your day. 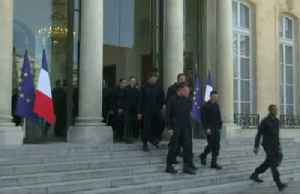 China has asked French utility Suez SA to help the country's efforts to tackle underlying safety issues in its massive chemical sector after a deadly explosion in the eastern coastal city of Yancheng..
Paris residents joined in prayer as French President Emanuel Macron vowed to rebuild the Notre Dame Cathedral after a devastating fire. Some of the country’s richest business people have pledged more.. 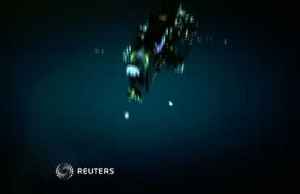 Hundreds of French residents took part in a march through central Paris on Tuesday, a day after a massive fire engulfed the Notre Dame cathedral on Monday evening, leaving great devastation. 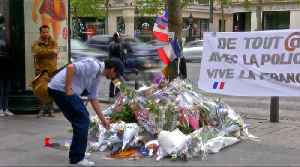 (April..
A vigil was held for Notre Dame Cathedral in the streets of Paris. 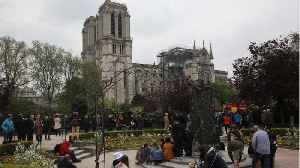 The crowd sang a hymn in tribute to the French landmark that was severely damaged in a massive fire on the Monday of Holy Week for..
French insurance firm AXA said on Tuesday it provided insurance coverage for two of the contracting firms that were working on Notre-Dame's restoration prior to the blaze that devastated the cathedral. 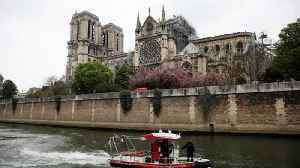 President Emmanuel Macron pledged on Tuesday that France would rebuild the fire-devastated Notre-Dame de Paris cathedral, saying he hoped the work would be done in five years and the French people..
For years Notre-Dame cathedral was caught in a dispute between the city's archdiocese and the French state over who should pay for repairs to its crumbling gargoyles, collapsed balustrades and..
Trump offered condolences to French President Emmanuel Macron over the massive fire at the Notre Dame Cathedral, the White House said Tuesday. 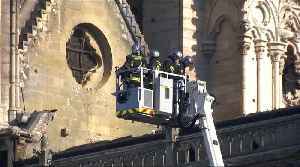 Parisians gave thanks to see the bell towers and great stained-glass rose window of Notre-Dame still standing on Tuesday, after firefighters labored through the night to douse the flames that gutted..
Britain's Queen Elizabeth has sent a message to French President Emmanuel Macron to say she was deeply saddened by the fire which engulfed Notre Dame Cathedral in Paris on Monday and that her prayers..